Lucas Turner Web.com is one of the oldest and most established website building companies on the web. They have hundreds of great templates, exceptional support and a library of free stock images. Do it yourself or have a site built for you by their design professionals. Sandra Tanoto Typically with website builders, the way their home pages are designed indicate the kind of website you can build with their service. So it bodes well that the first impression Carrd gives off is one of a sleek, interactive, and beautifully-designed website. 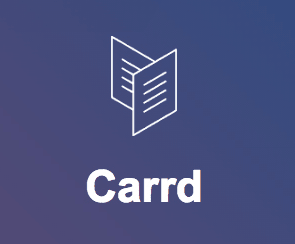 Carrd’s website is fully responsive and adjusts to screens of any size – as are the websites its builder creates. It promises an inexpensive, easy-to-use platform with which you can create solid landing pages for your business. Sandra Tanoto Bookmark is a cloud-based website creation service powered by AiDA, an artificial intelligence design assistant. AiDA eliminates 90% of the pain points associated with website creation by creating the website for the user, then walking him or her through adding content and customizing the site. There are over 650 business types to choose from, so you can build pretty much everything from a fully-responsive online store to a personal portfolio. Sandra Tanoto Webpop is a Content Management System and cloud-based website editor rolled into one. Fair warning, however: unlike most website builders out there, Webpop is best suited for tech-savvy users with an understanding of HTML and CSS. Incorporating HTML5, CoffeeScript, Sass, and the Compass core framework, users will enjoy this clean, real-time web editor that enables you to collaborate with team members as well as clients on projects. Sandra Tanoto Agencies and marketers rejoice: SignalMind’s inspired cloud-based platform now allows you to create responsive and mobile sites for your clients with ease. With the straightforward yet powerful system, you can create quality mobile websites that effectively garner incredible mobile engagement for your clients. Plus, SignalMind’s platform allows you to track mobile marketing campaigns effortlessly.